Air ducts into your house play an essential role for your family. You certainly may not be aware about the fact that fungi, bacteria, moulds are part of this air duct. This pays importance to the fact that these elements will circulate the air from your heating and cooling system into and out of each room. Ultimately, the same air fills your living environment and it is the air that your family breathes. Obviously, many sections of your heating and cooling system may not be accessible, so you cannot inspect in visually and find the hidden dirt. What now? You thought it right – bronchial problems. To avoid such situations, you need a thorough clean air to breathe. But clean air, how? Don’t despair, there’s a solution for every problem. Yes! We have air duct cleaning process for you. Air duct cleaning services is process of removing dust and contaminants included in the ductwork. Clean air ducts reduces an allergic or air-related problems. The powerful vacuums remove and whisk away all the dust included and stops it from re-circulating throughout the home. Let’s discuss these simple steps in detail. The first and foremost step you need to do is disconnect the power supply. Wow! Once done you need to open the unit. The vacuum is connected to the main trunk line to collect dirt, dust and other contaminants; they might lodge deep within the system. Vacuum is the interior surface of the furnace/conditioner. Compressed air is blown through each air duct in order to clear dirt that might hang loose. Next, vacuum and clean the cooling coils and also the blower unit. The cleaning of supply and return registers is done by removing the walls, ceiling and floor registers. Next, the cleaners wash the registers with cleaner and rinse it. Another thing included in all duct cleaning process is cleaning the supply and return ducts. So what are the steps? Start using a powerful air duct cleaning equipment to clean the air ducts. Next you have to decontaminate the cleaned ducts with a good sealant. Do not forget to use an Odour killing deodorizer to kill all bad smell. The air filters and odour control products help us to remove the bad smell for last three months. The only step here is to install the air filters. The list of cleaning the air is not bound to air duct cleaning, it includes process like Steam Air Duct Cleaning, Truck Mounted Vacuum Cleaning, Point of Contact air duct cleaning and so on, but the steps discussed here are sufficient for you to do the job effectively. 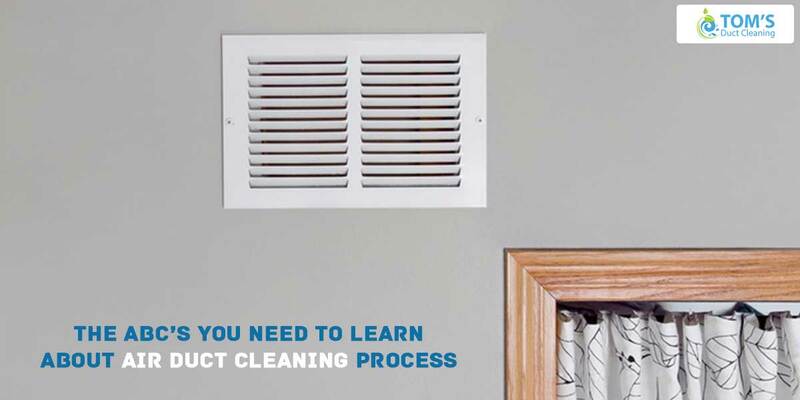 We hope you completely understood the process of cleaning the air ducts. However, if you are not confident to do it yourself, you may get hold of all duct cleaning Melbourne. The all duct cleaning services use latest odour technology to implement this crucial job for you. Give them a call today!